The swine flu vaccine which will be offered to 12 million children in the UK may not have been tested on infants by the time the first batches arrive. Pharmaceutical companies manufacturing the jabs do not have any paediatric safety data for the drugs, which could be distributed to children in the autumn. The first consignment of the vaccine is due to arrive at the end of this month but drugs firms have only just begun trials on adults. Trials on children may not start for a few weeks. Children are thought to be most at risk of developing a serious form of the H1N1 virus and also help to spread swine flu. It is expected they will be among the first to be vaccinated, along with health professionals, pregnant women and people with underlying health conditions. However, the European Medicines Agency (EMEA), which will license the vaccines, said approval could be granted before the results of these trials are known. During the last swine flu outbreak in the US in 1976, a vaccine caused 25 deaths – more than the virus itself. Dr Jefferson said a repeat of that ‘was possible’. GP Dr Richard Halvorsen, author of The Truth About Vaccines, said that there was a ‘worrying trend’ to introduce jabs for children without good data. He said that in this case there was no pressing need for one. 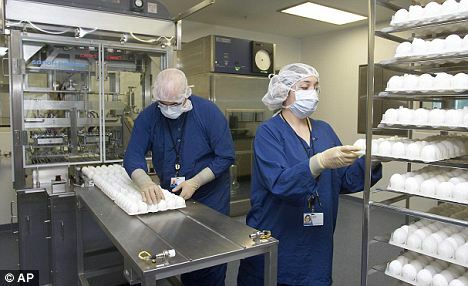 However, microbiologist Professor Hugh Pennington said flu vaccines in general had an excellent safety record. The EMEA admitted it could authorise the vaccine before the results of trials are known but if it did it would issue a warning it had not been tested on a specific group. GlaxoSmithKline said it had conducted paediatric trials on the bird flu vaccine, on which the swine flu jab is based. A trial for children is planned within the next month. Medical investigators have begun an inquiry into the online sale of swine flu drugs after a Mail on Sunday exposé. 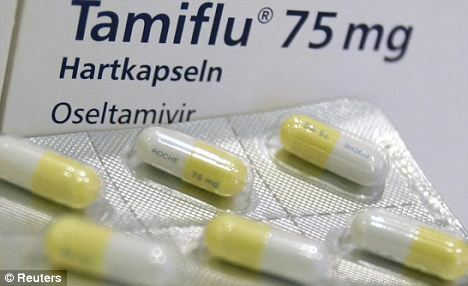 Last week we revealed how a father obtained Tamiflu free from the Government’s helpline – supposedly to treat his children. Instead Luke Stone advertised the drug on eBay for £100. He was secretly filmed as he closed the deal with a reporter. Our evidence has been handed to the Medicines and Healthcare Products Regulatory Agency which is to investigate. The agency urged the public to report suspicious sales. Those who illegally sell medicines face up to two years in jail.